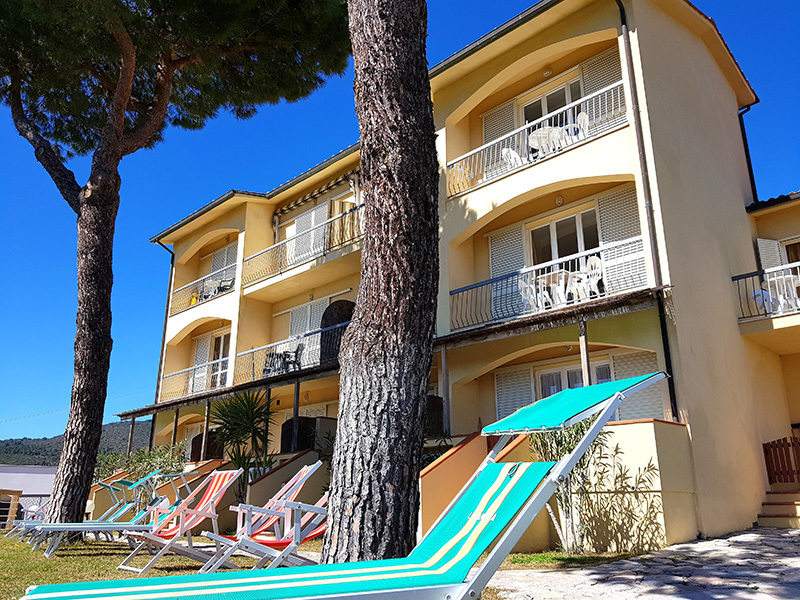 The residence Mini Hotel Lacona is a small tourist complex operated by the owners since 1969 (Gentili family). 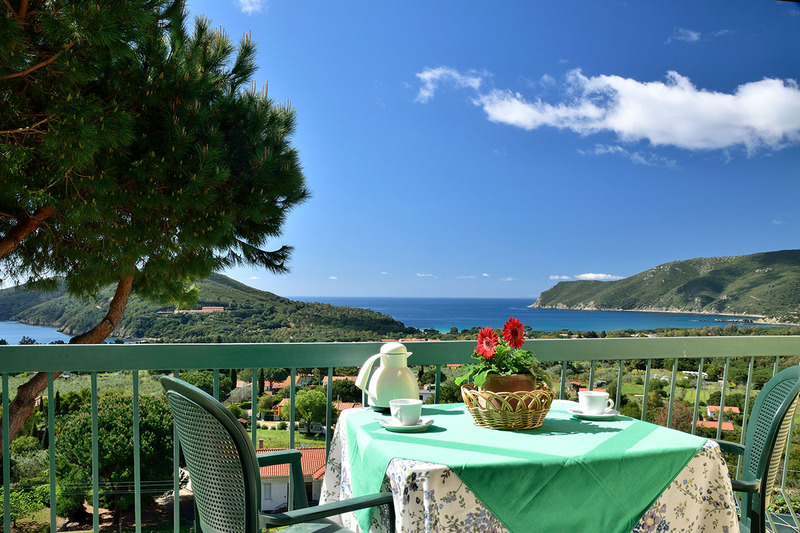 It is situated in a unique position, from where guests can enjoy one of the most beautiful views on this part of Elba Island. 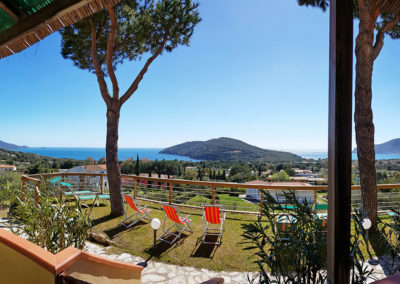 The tourist structure overlooks the two bays Lacona and Margidore. 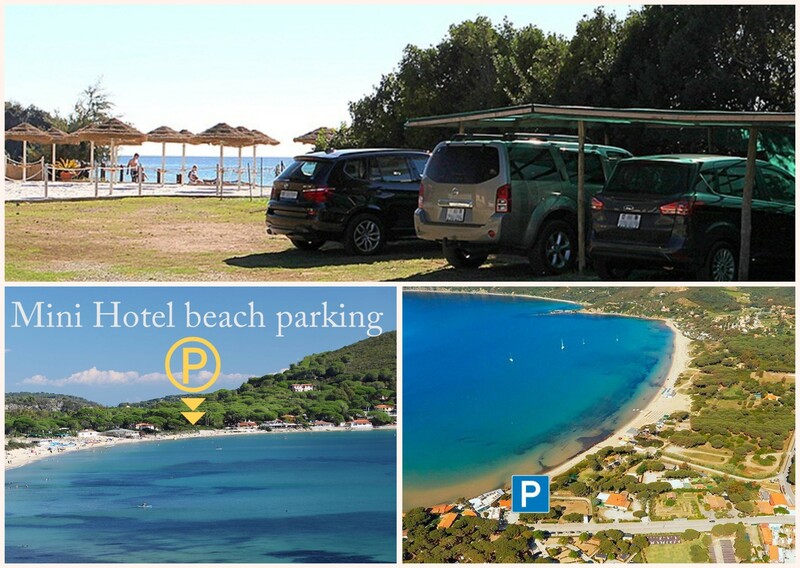 The first long bay consists of a fine white sand beach and the second of a dark pebble beach. 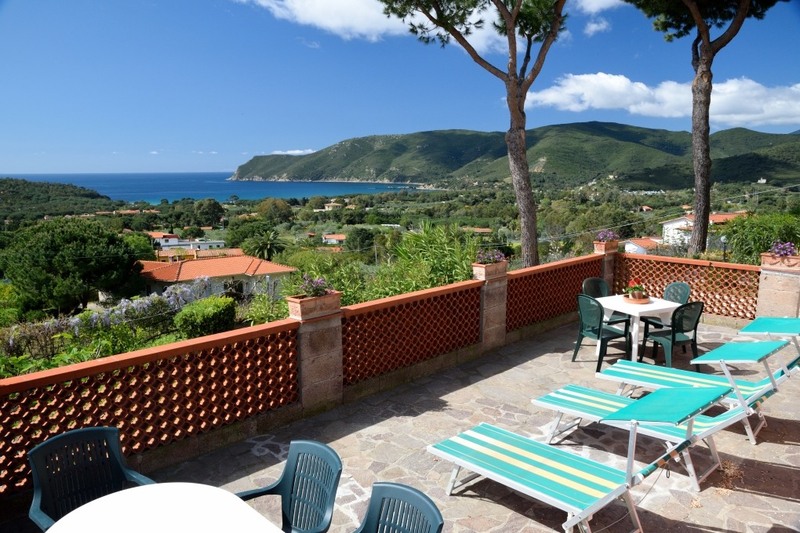 Adjacent to the second bay is also a small tourist port for private boats. 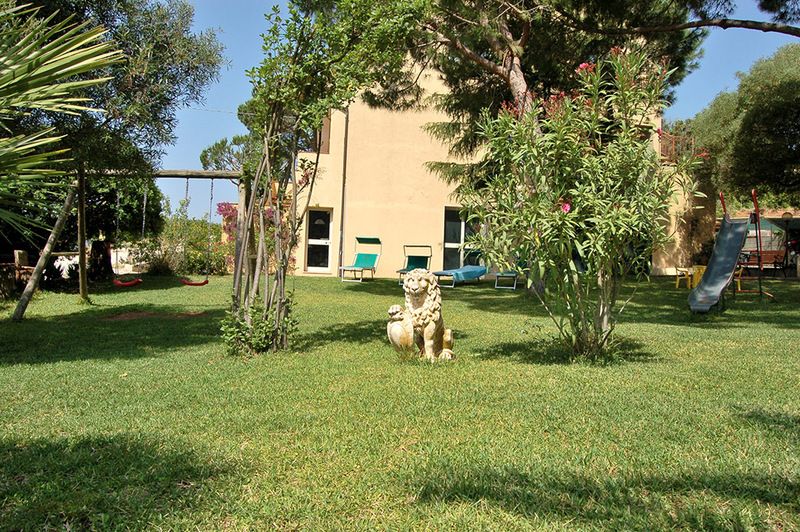 The residence consists of 3 different buildings and is surrounded by a large garden with trees. 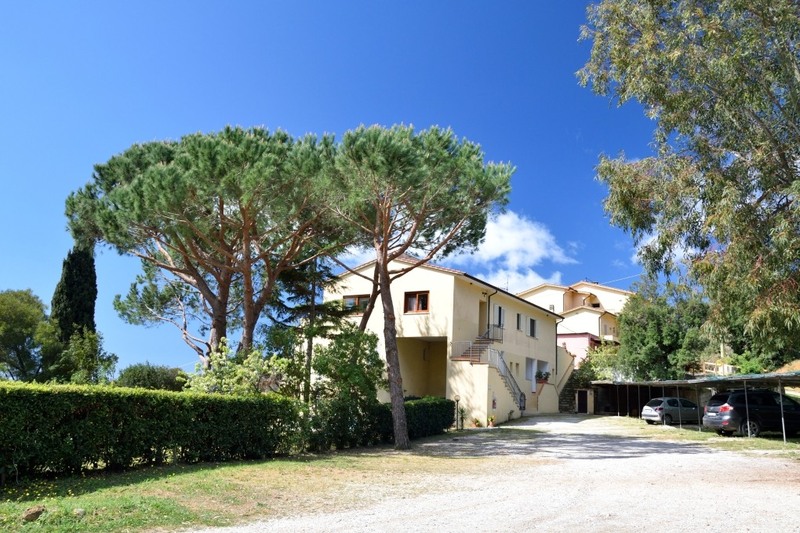 The two main buildings consist of apartments, of different sizes and with different characteristics. In addition, there is a common lounge in the main building, a small bar and a furnished terrace. 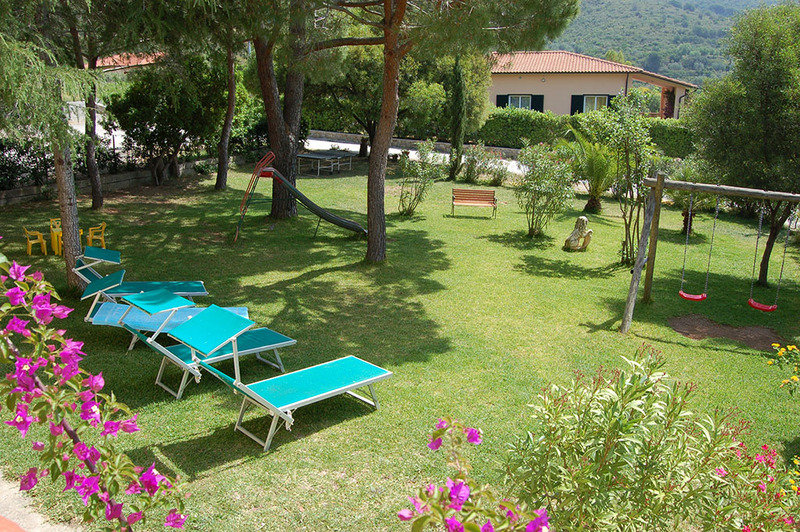 In the garden there is also a private car park, a large shaded lawn ideal for children’s games and a barbecue place for cozy evenings. 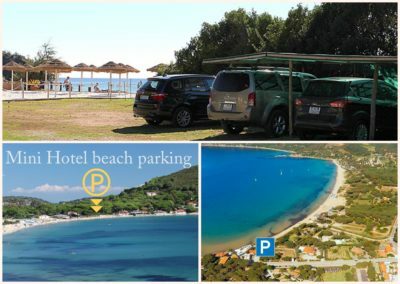 Right on the beach of Lacona one of the most popular services of our guests is the mini hotel offers a free shaded private car park just steps from the sea shore. 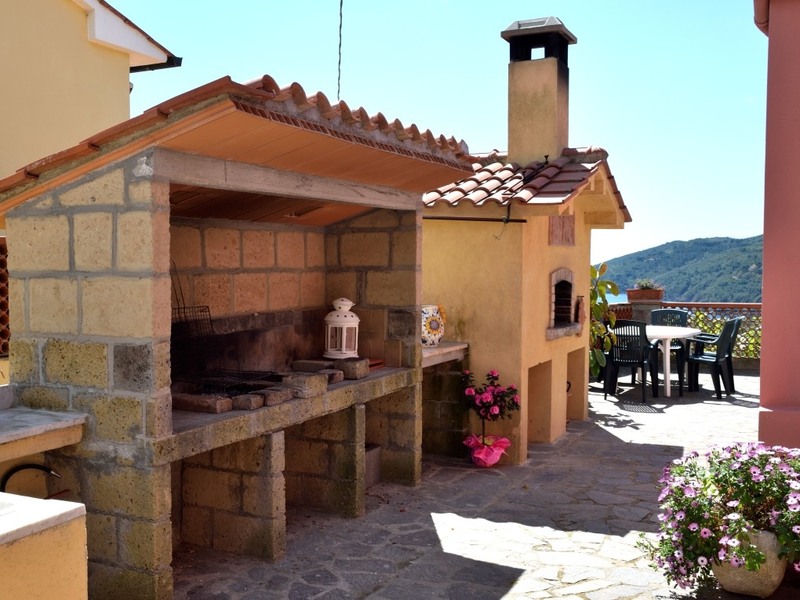 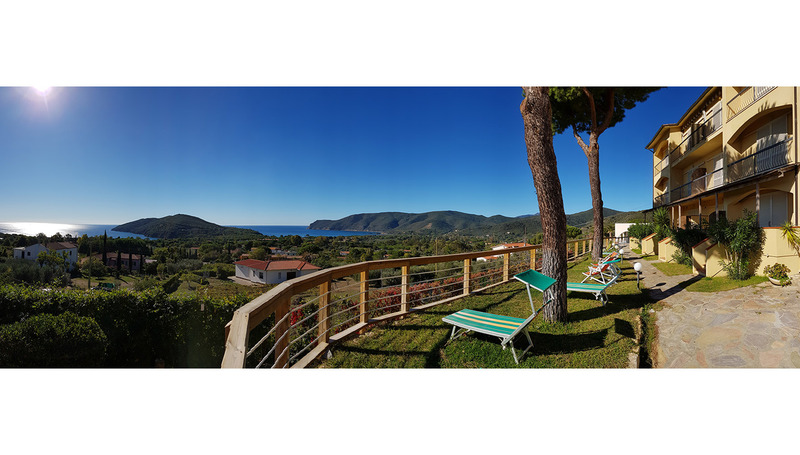 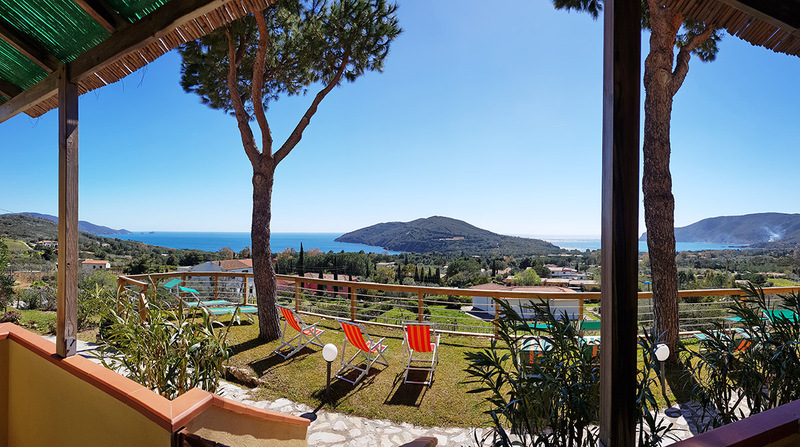 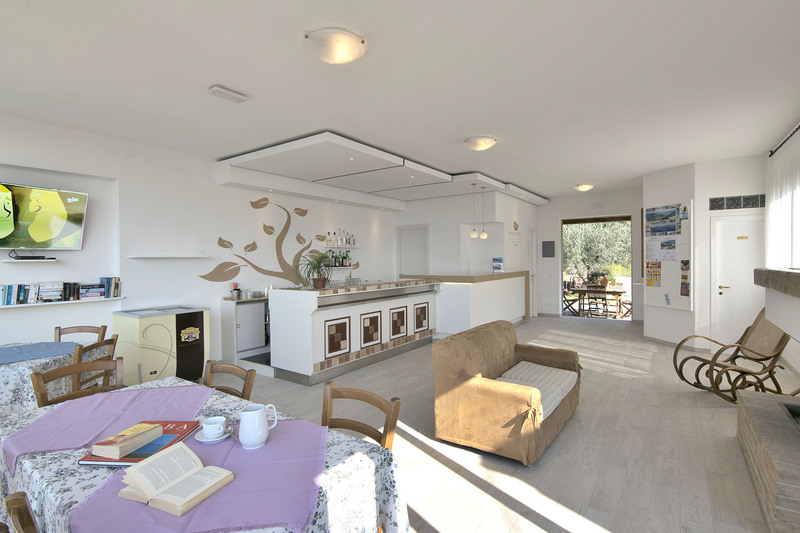 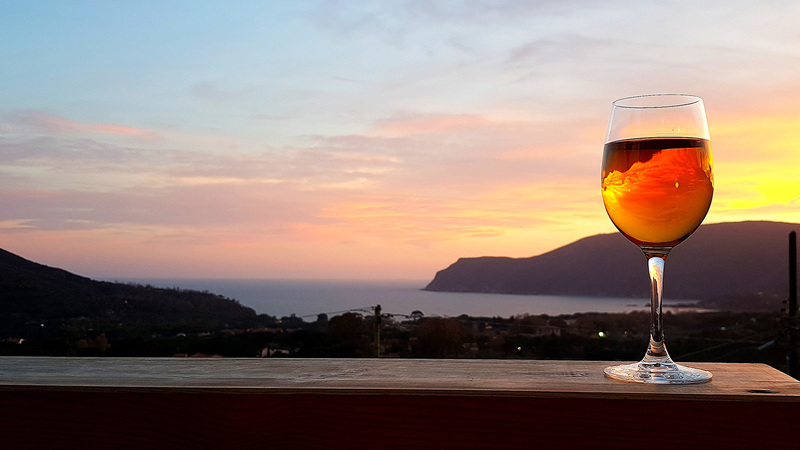 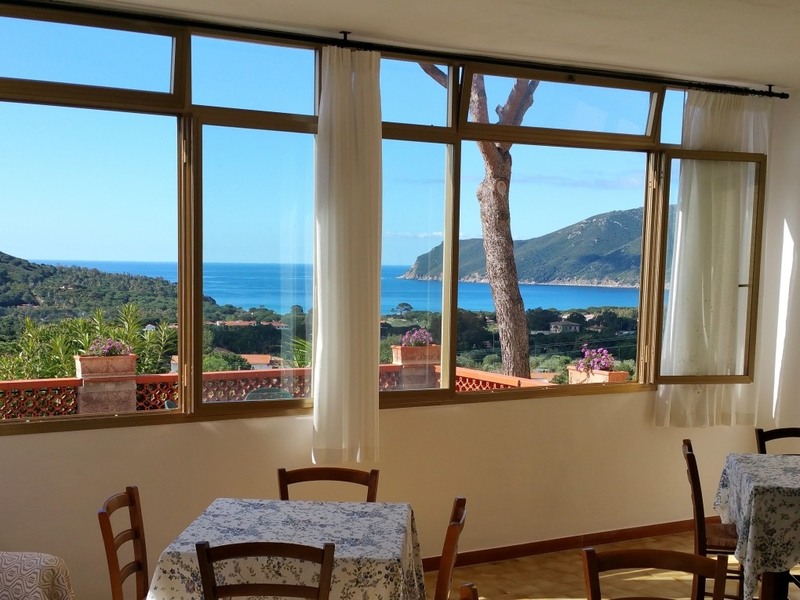 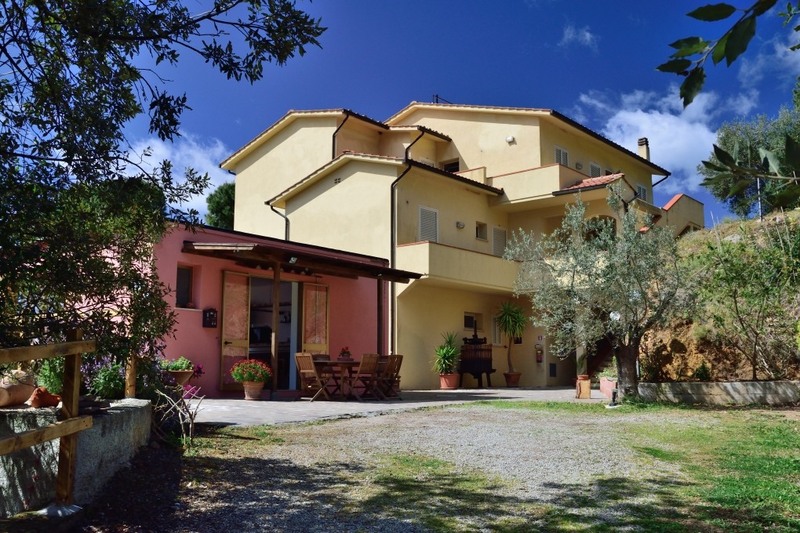 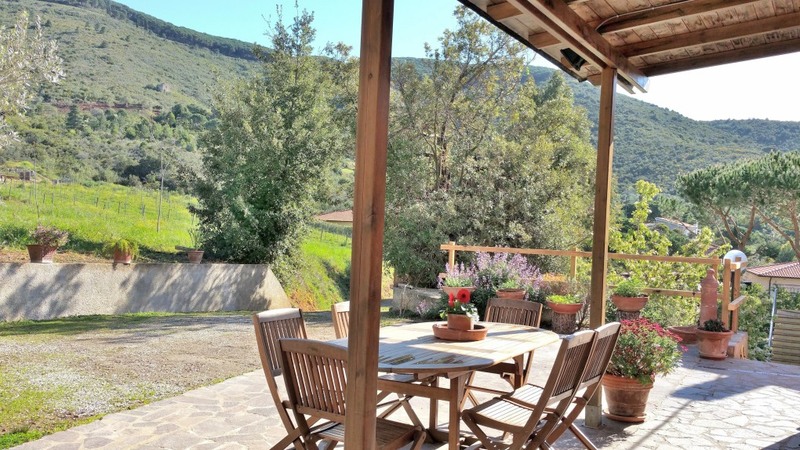 The residence is part of WELCOMETOELBAgroup, a small tourist group which offers the Mini Hotel in Lacona, the Hotel Montemerlo in Fetovaia and the Elba Ovest Apartments on the west side of Elba. 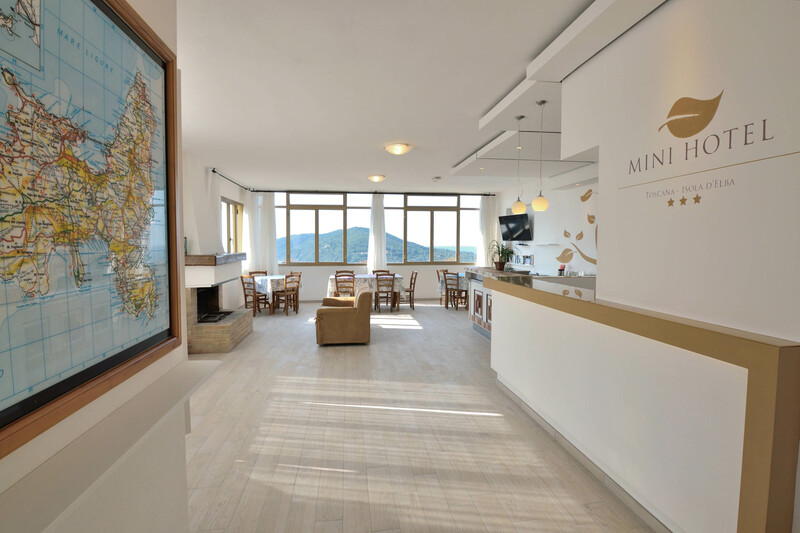 Through this affiliation the customers of MiniHotel can enjoy a variety of additional services and special offers on the island of Elba.